Home › 1) SNB › Marc Meyer › The Last Free Lunch for Holders of SNB’s High-Risk Share? This is the intrinsic value of the SNB share (SNBN:SW) on 15 January 2015. Why? 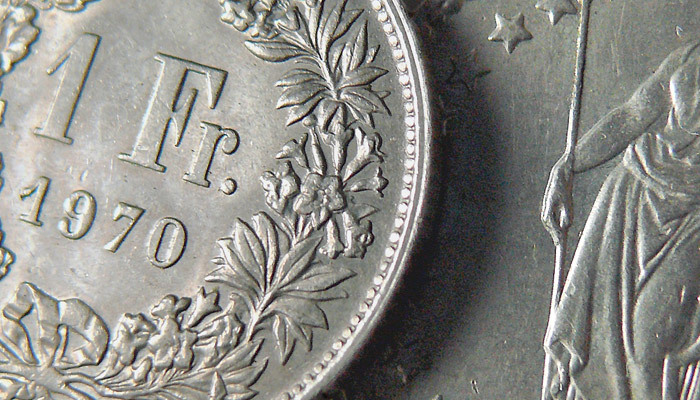 At this date, the euro fell in relation to the franc on a low of just over 80 Rappen. In plain English, this means that the owners’ equity of our Swiss National Bank (SNB) was negative in the double-digit billions. This also means that the SNB share, which represents the equity of the SNB, temporarily had no intrinsic value more. The Bank Council, the supervisory board of the SNB should have been active. Or does it still hold that the SNB can “print money” as much as it wishes and consequently support the SNB equity and the price of the SNB share? The ancient and widespread cooked-up story of the “unlimited money creation out of nothing” seems to abrogate all supervision of the central bank. Since the value of the euro recovered in the course of the day back to just over 1 franc, the damage to the SNB’s shareholders finally was a bit less. The euro, however, may weaken again and erode the owners’ equity. The SNB share has hence become a high-risk currency speculation and in addition a company that cooked the books. 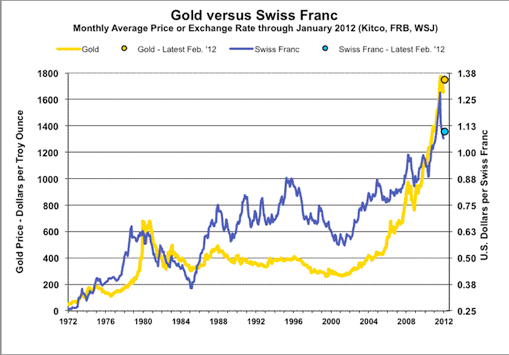 In recent weeks, the price of the SNB share was very volatile. The stock saw some upwards movements. What were the reasons? Speculation that a foreign investor had acquired a considerable SNB share package, were proven to be false. The dividend of the SNB share makes up only 6 percent of the nominal value of CHF 250. This is a maximum of CHF 15 per share. At a price of 1200 francs it represents a dividend yield of 1.3 percent. 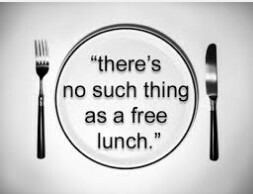 Only the tasty free lunch, the “Apéro riche”, that follows the general shareholder assembly in the casino of Bern last Friday was many times more valuable than the dividend in Swiss francs. Moreover, the central bank offers a 1st class train ticket which again enhances its the value of the dividend sharply. It may be that some investors decided in the last minute to buy SNB shares so that they could be present for the feast. Already a relatively small buy orders of a few dozen shares are able to raise sharply the price of the rather illiquid SNB share. If these investors but are aware how high their risk is with the SNB investment? They hardly are. SNB Vice President Thomas Jordan has never dealt with the question of what happens to the value of the SNB share, in the case that the owners’ equity of the central bank gets negative. He and the SNB still say yes, they can meet all payment obligations, because ….. they simply print money. The fallacy of this thinking would be that the shares of the SNB could never fall under their nominal value. 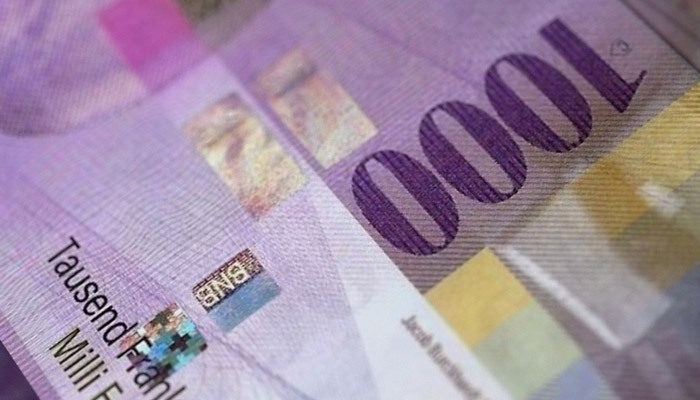 Unfortunately, the SNB still has not recognized that the monetary base (M0) cannot be part of the SNB assets and therefore cannot be cash for the SNB. No matter if francs in the form of this central bank are legal tender or not. The Swiss law cannot override the rules of double-entry bookkeeping, just as it cannot overturn the law of gravity. As every year, the 2014 Annual Report of the SNB confuses once again assets and liabilities. Hence SNB shareholders are continuously misled. For example, the SNB foreign currency investments on the assets side are always mistakenly referred to as “foreign reserves”. But a beginner’s accounting text book clarifies that reserves and capital are on the liabilities side of the balance sheet. On a single page, for example, on page 79 of the Annual Report, under the heading “Balance Sheet and Equity”, the foreign currency investments are correctly named “foreign currency investments” and four times incorrectly called “foreign reserves”. This is completely misleading. With the word “reserves” in the amount of over 500 billion francs, the SNB suggests an exorbitantly high equity, although these foreign currency investments are financed in reality by more than 90 percent of debt and a tiny part of equity. This is nothing but a voluntary deception of the shareholders and of the Swiss people. Moreover, the “provisions for currency reserves” are called “owners’ equity”, though by definition they are pure and simple debt, nothing but borrowed funds. The Swiss National Bank shall create sufficient monetary reserves from its profits; a portion of these reserves shall be held in gold. In other words, out of the its profits, the National Bank must create owners’ equity, and a part of this owners’ equity shall be in gold. 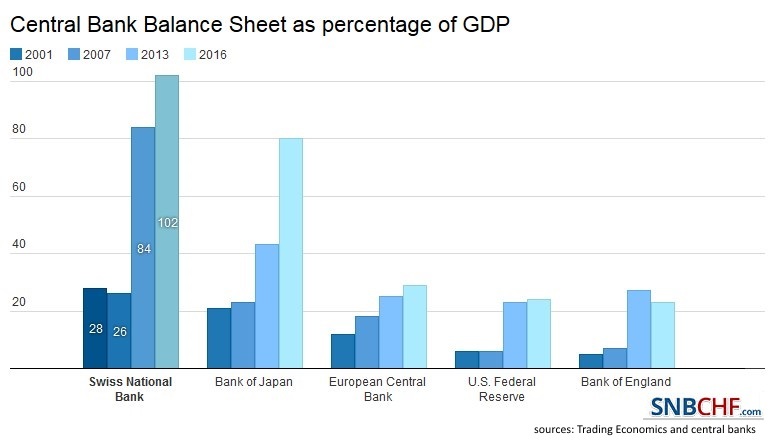 Moreover, if currency reserves and foreign currency investments were the same thing – something the SNB assumes in its annual report – foreign currency investments in gold could not be created. Foreign currency investments and gold are effectively two different balance sheet items on the assets side. Foreign currency investments and currency reserves are never the same thing – as the SNB continually thinks in its annual report. Again, the SNB confuses liabilities with its assets. 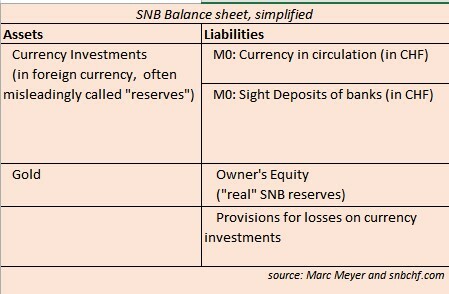 It is also annoying that on page 151 of its annual report, the SNB aggregates the liability item “Other liabilities on sight” (note 12) and the “current accounts of foreign banks and institutions” and reformulates the item as “Other deposits at sight” (see table “annual values of balance sheet liabilities, p 148). Hence liability plus liability add up to be a receivable. This is wrong. Liabilities remain liabilities even if they are added up. Pure and simple logic. It shouldn’t be allowed that the SNB calls their aggregated liabilities “assets”. This is a way to mislead shareholders and the Swiss people. Intent or failure? Why the SNB designates its liabilities regularly as a receivable, as an asset? 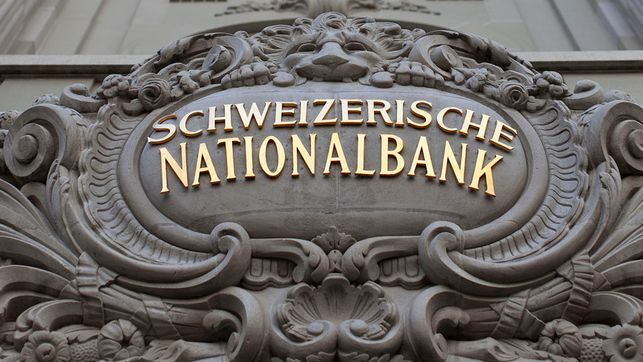 The term “other deposits at sight” also suggests that they are deposits of SNB in the item “Sight deposits of domestic banks” – to the amount of about 300 bln. 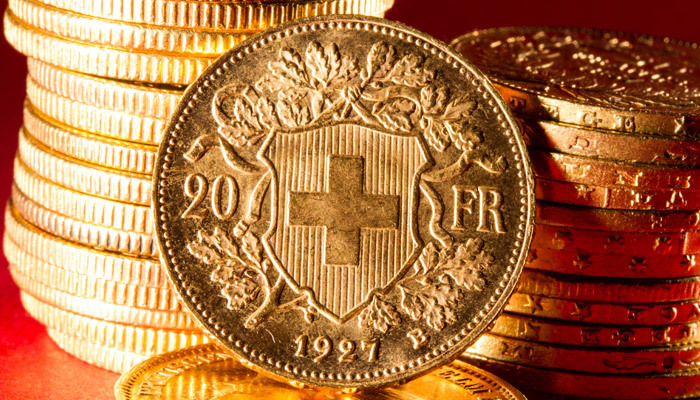 CHF – even though in reality they are liabilities of the SNB. Will the SNB rain down the manna? 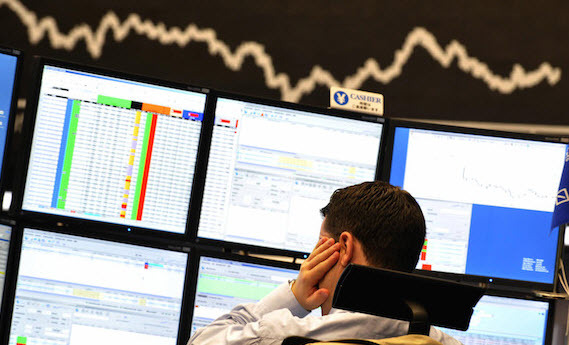 Such mistakes are close to fraud – and these kind of mistakes happen to the SNB regularly. Even on Swiss television the SNB liabilities have often been referred misleading as SNB assets. Like a red thread, the confusion of payables and receivables, the confusion of assets and liabilities, is visible through the whole report. This annual report perfectly fits to a Board that claims for years, that the SNB could create “money from nothing”. Would anyone stood up in front of the shareholders and the Swiss people, and claimed that he could make it rain gold coins as “manna” from heaven, so we would only shake our heads. However, the assertion of the SNB Board, they could buy gold (or Euros) and pay with “money printed out of nothing” is nothing more but a comparison with the biblical “Manna”. Already at the introduction of the catastrophic “minimum exchange rate”, the SNB misleadingly designates sight deposits of banks as deposits (aka receivables) rather than what they are in reality: namely loans (payables) for the central bank. This was nothing else but misleading the entire nation. If the people knew that the SNB pays all these euros not with printed money but with public debt, then it would have fought from the very beginning against the minimum exchange rate. With her assertion that she could “print money from nothing”, the SNB repeatedly called the spirits that finally refuse to go away. This applies to both the minimum exchange rate and to the sovereign money reform (the “Vollgeldinitiative”). [Remark: The sovereign money reform wants that only the SNB may create money; which again allows that the SNB increases its debt !]. After a loss of over 50 billion Swiss francs within a few hours, one would think that those responsible at the SNB finally go into a retreat and rethink monetary theory. But unfortunately there is no indication. The latest Annual Report full of confusion of assets and liabilities is the best prove. The chairman of the SNB and the president of the supervisory board are available at the next shareholder assembly on Friday April 24 in Berne received warm applause. No doubt. The SNB has sufficient claqueurs and cheerleaders installed – not only in the circle of the media and politicians, but also in the Casino of Berne. Anyone who dared, however, to criticize the National Bank will face a silent wall. Applaud a critical voice would mean to disavow to the SNB. 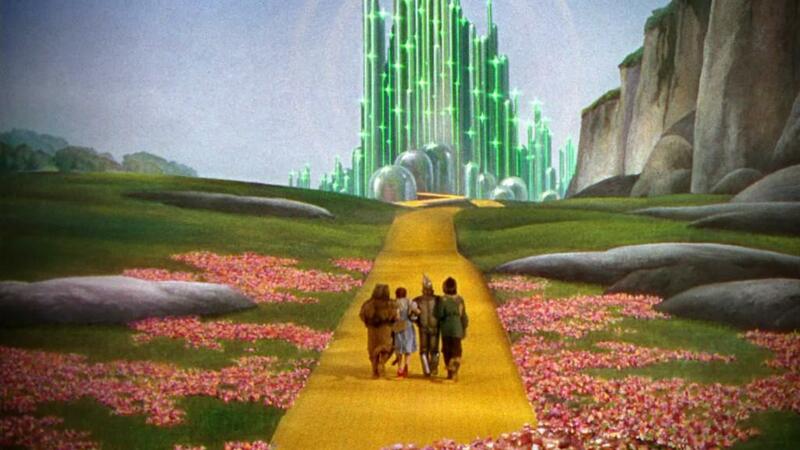 Who dares to criticize the central bank? Who wants to risk repressions? Thankfully, the minimum exchange rate is off the table. The greatest danger has passed. Nevertheless, the massive SNB foreign currency investments still represent a major risk that very few people identified as major risk. If the euro and the dollar continue to fall, and the equity of the SNB gets negative, so the intrinsic value of the SNB share will fall to zero. A possible time value, based on a hope of recovery, could possibly lift the share price a bit over zero. With “money printing” the SNB will never ever be able to increase the owners’ equity and thus the value of her shares. That is a simple illusion of SNB Governing Board. Only counterfeiters can “print money” to pay something – but not our National Bank. Let’s hope that the SNB reacts reasonably at the end when it reaches negative equity and declares its bankruptcy immediately to limit the damage. It would be the task of the SNB Bank Council, to see to it. After the economists at the SNB failed, this should not happen to lawyers, too. Otherwise, after the SNB’s shareholders, the Swiss people is the next to be squeezed.